There are some great parks and trails south of San Jose, heading toward Los Gatos. Hellyer Park & Coyote Creek Trail. This is a great San Jose park offering lakes and just south of San Jose. Also connects to the Coyote Creek Trail heading south. The Coyote Creek Trail runs for 15 miles along Coyote Creek, paralleling I-101 and Rt. 82. The Los Gatos Damn Trail. Accessed from the end of the Los Gatos Creek Trail or downtown Los Gatos. It offers numerous loop runs along the Los Gatos Creek, with views of the reservoir, and lots of good climbing.The seminary loop that provides good views of San Jose and the Bay on clear days. Alum Rock Park. 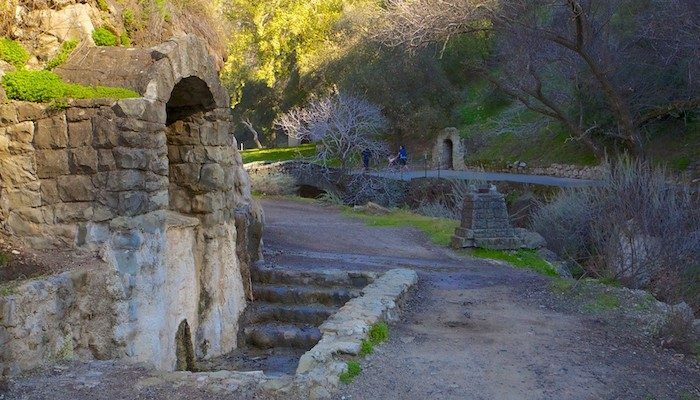 Eight miles from San Jose, Alum Rock Park is a destination run. Hilly, mossy, and shady. Quicksilver Park. 17 miles south of San Jose near Los Gatos. Incredible variety of trails, mining history, Almaden Lake in this 4,500 acre park. Mainly trail running, and hilly.